The French have long known that to wear a gown in grey is to dress in that perfect (and elusive) nexus of classic sophistication and subtle surprise. No one will entirely expect it, but at the same time it is really the only answer to that interminable refrain of But what do I wear?! Existing in the wide and nebulous middle ground between the black cocktail dress and the white wedding gown, a grey dress is inherently versatile, and infinitely adaptable to all occasions and moods between those two stark monochrome poles: as right and reasonable in a disco as at an inauguration (see Eleanor Roosevelt's, below). Whether adorned by clouds, rainbows, sequins, or saran wrap (as photographed by Cecil Beaton) - and regardless of the density of its hue on a stiffly starched skirt, or the soft, penetrable silk layer between the bones of a corset, or in the casual cascade of smog-colored train - grey gowns all manage to broadcast a foggy, pleasurable enigma, and leave a trail of icy coolness in their wake. Shimmering or matte, short or long (and mostly French, many in homage to Dior's iconic Grey), here are some of our favorites, both from the ages and recent runways. We reckon that browsing the slideshow is probably at least as satisfying as wearing one. 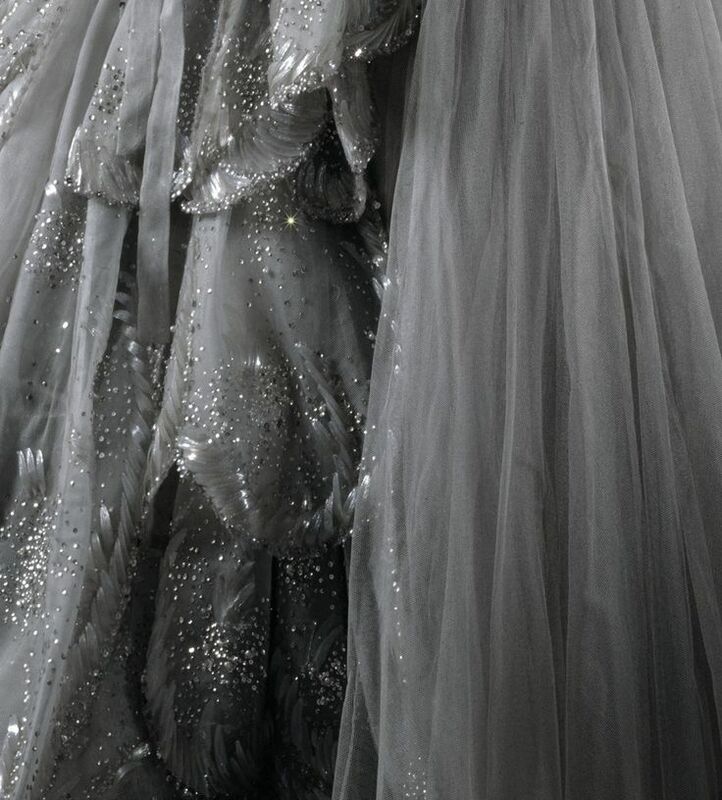 Detail of the ‘Venus’ dress presented in Christians Dior’s Autumn/Winter 1949 collection via idreamofaworldofcouture.tumblr. 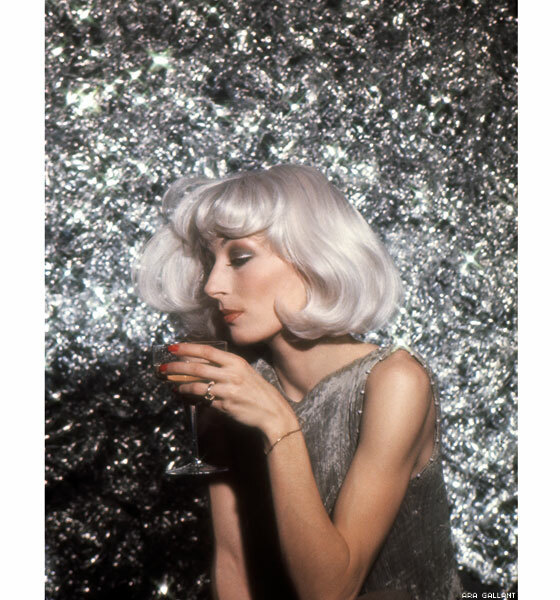 Anjelica Huston, styling by Ara Gallant, 1976 via Into the Gloss. Look 44 on Clémentine Deraedt at Spring 2015 Valentino Couture via Style.com. Look 45 on Grace Hartzel at Spring 2015 Valentino Couture via Style.com. Paula Gellibrand, Marquise de Casa Maury, 1928 by Cecil Beaton via Buzzfeed. Nancy Beaton as a Shooting Star for the Galaxy Ball, 1929 by Cecil Beaton via Beetles + Huxley. Grey gown by Ashi Studio F/W 2014 Haute Couture via Tumblr. Glimmery grey by Hef Prentice via Dead Girls.tumblr.com. Short gown at Valentino at Paris Fashion Week Spring 2010 via Stylebistro. 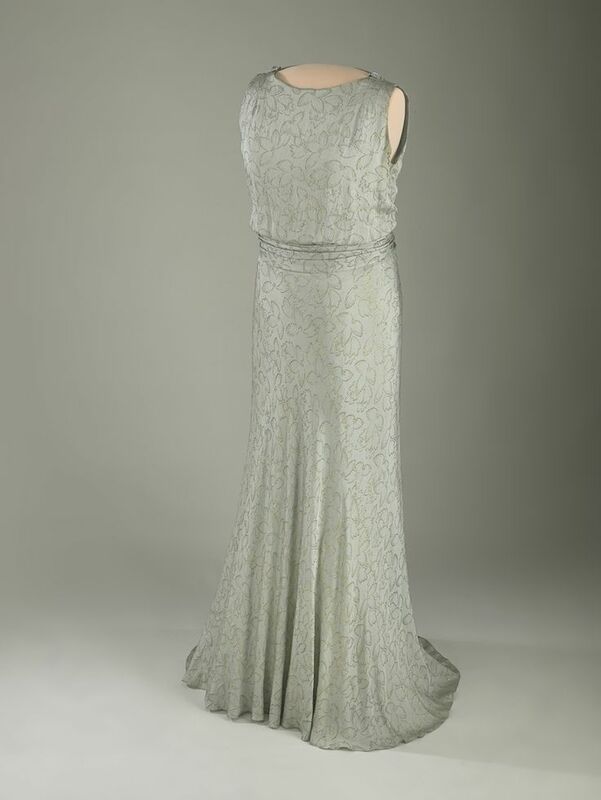 Eleanor Roosevelt’s First Lady inaugural gown from the Smithsonian Institution Archives via Buzzfeed. 1950s grey chiffon gown by Dior on French model Sophie Malgat, by Mark Shaw via Daily Mail. Buy the book. 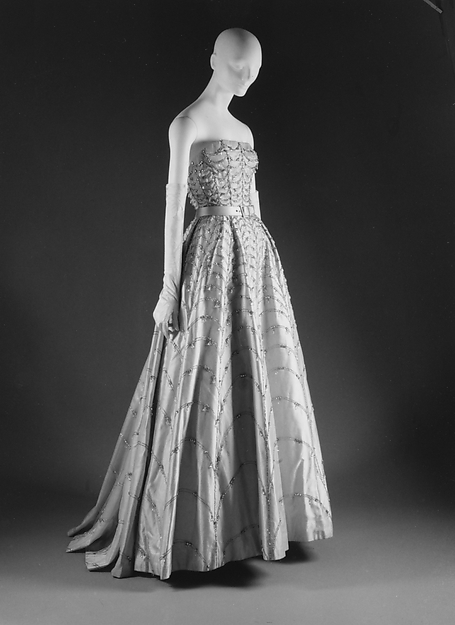 Ball gown by House of Dior’s Spring/Summer 1953 Collection via metmuseum.org. 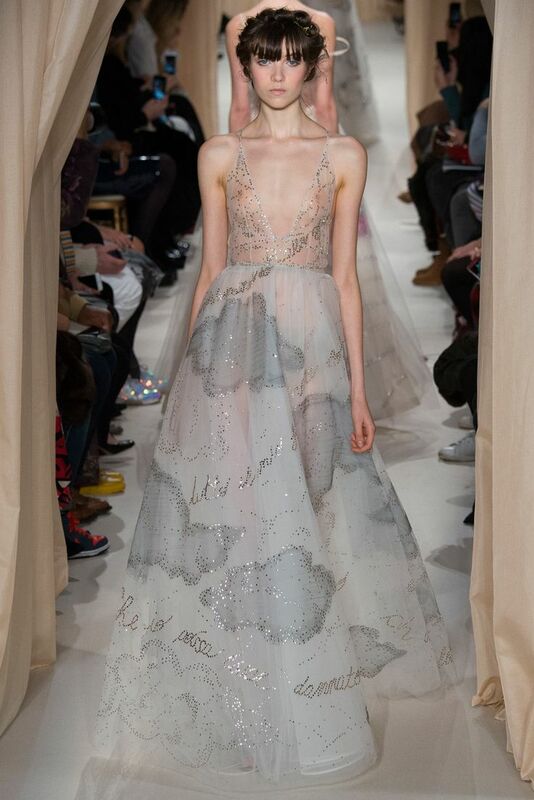 Gown from Christian Dior Fall 2014 Couture via Vogue.com. Black and grey silver day dresses by Christian Dior for Vogue, 1947 via Vogue Russia. 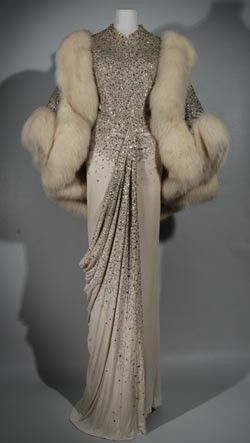 Dior gown and fur cape via Pinterest via Jennifer Behr.